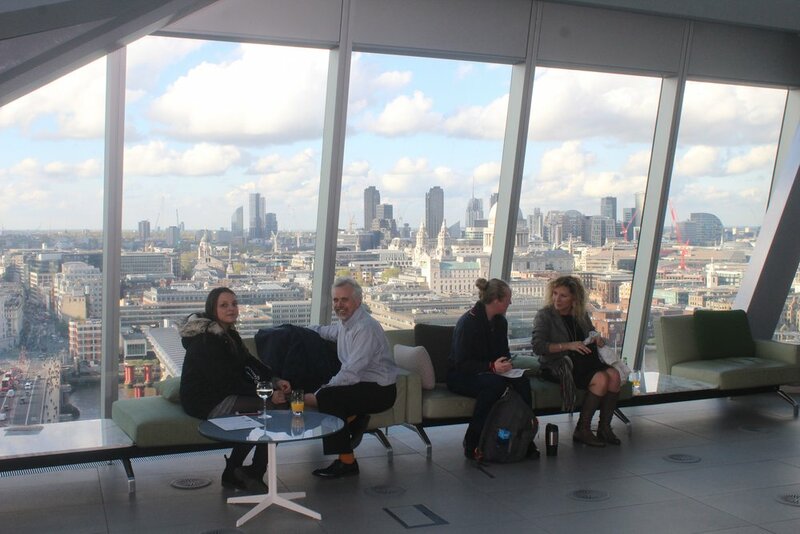 A group of members gained a fascinating insight into what it takes to keep London's traffic and people moving when they were invited to the viewing gallery of Transport for London's (TfL) Network Management Control Centre (NMCC). From this privileged vantage point, right next to the control room floor, our hosts, Natasha Dimelow, Business Logistics Co-ordinator, and Kirsty Sherwood, Senior Network Manager (and Women in Transport board member), gave us a real insight into what's involved in this impressive 24/7, 365 day operation. Women in Transport celebrated International Women’s Day early in the Houses of Parliament. In a joint event with the All-Party Parliamentary Group (APPG) on Women in Transport and the Transport Select Committee, around 60 senior women from the transport sector attended to share their expertise with the aim of increasing female representation in the Transport Select Committee’s work. 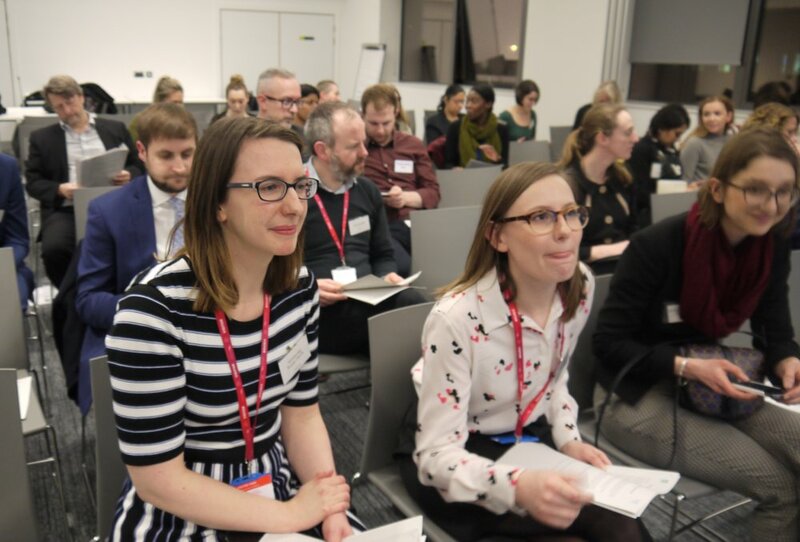 Gemma Hewitt, the lead for our North East hub, joined the panel of a joint energy and transport sector event focused on gender parity on Monday 4 March 2019. Working alongside other sector networks enables us to reach more women facing the same or similar issues in a different, but very much linked industry. Nominations for the 2019 everywoman in Transport & Logistics Awards are now open! Returning for its 12th year, this established industry event is continuing its mission to uncover female role models, identify male agents of change and transform the industry perception. With Brexit approaching the industry is set to face a period of uncertainty and change. With this in mind, it is more crucial than ever to have a multi-skilled workforce to manage this change and to build a team of balance and productivity. Recently Women in Transport members gathered in the Rail Delivery Group’s offices in London Wall for an evening seminar and workshop on ‘Managing Stress & Anxiety,’ led by John Manning . 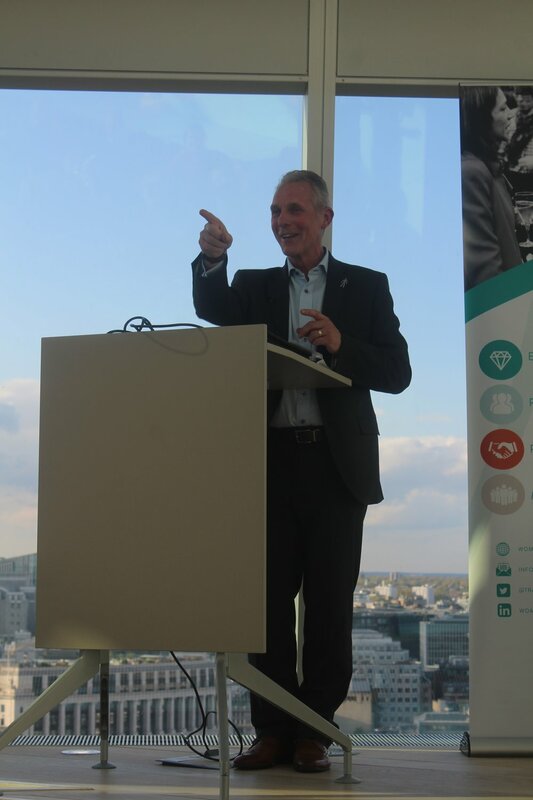 Jon Manning is the Managing Director of Arthur Ellis Mental Health Support, a not-for-profit organisation he founded, following his diagnosis of bipolar disorder, to train management, employees, parents, children and teachers how to identify and tackle mental health issues. This time last week, we gathered together with our members and supporters at Lewis Silkin in Chancery Lane for our annual mince pies and networking event to celebrate another very successful year for Women in Transport. Recently, a small group of Women in Transport members had the privilege of being invited to a preview of the new Tottenham Court Road Crossrail station, before it opens its doors to the public in December this year. We were also very fortunate to be accompanied for part of the tour by the Project Manager, Lih Ling Highe, who gave us a real insight into her work with Crossrail over the past 9 years. 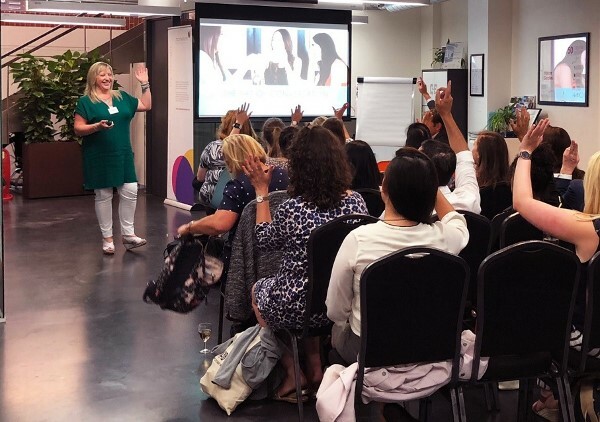 Women in Transport members gathered at Momentum Transport Consultancy’s offices for an evening seminar led by Tamsen Garrie on ‘Learning the Art of conversation’. Tamsen opened her talk by pointing out that conversation is a skill that can be acquired and refined, and that we can all benefit from it by creating environments and relationships conducive to success. Last month MPs and diversity champions from across the transport sector celebrated International Women in Engineering Day in Parliament. Once again, thanks to our hosts Arriva, we were able to offer members the chance to try their hand at driving a London bus. This very popular event has now become a fixture on the Women in Transport events calendar and we can safely predict all places being snapped up in twenty minutes. On a sunny summer morning we were met at Tottenham Hale, by Nisha Ladkea, the Arriva instructor, who drove us in the double decker training bus to Edmonton Bus depot where it was the turn of members to get behind the wheel. 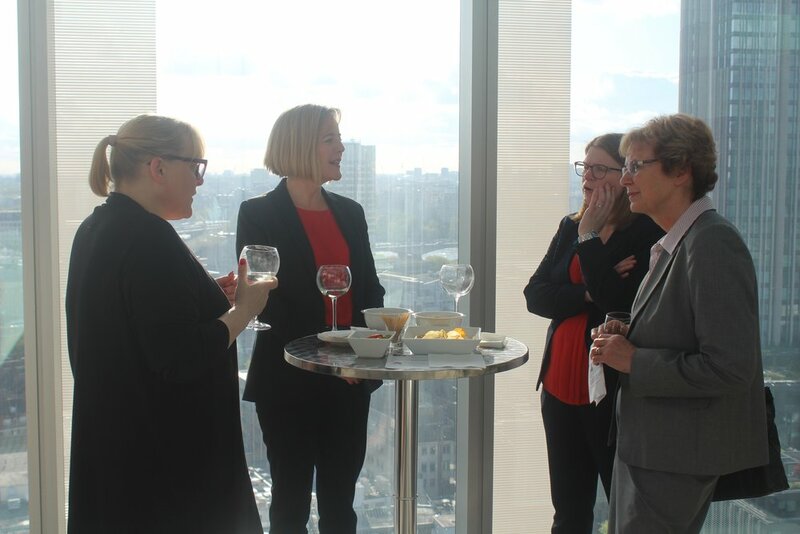 Last month, Women in Transport held its first event in partnership with Women in Health and Safety when nearly 200 men and women gathered at UBM's headquarters to enjoy an evening of networking, a lively panel discussion and some breath-taking views over St Paul’s and the Thames. Last month 15 of our members headed to Acton to find out more about London Underground's Emergency Response Unit. Dennis Hindley, the ERU's Duty Manager, set up a fascinating behind the scenes tour which gave us a real insight into the incredible work carried out by the dedicated team of specialists who respond to critical problems and emergencies on the Transport for London network. Sonya Veerasamy was delighted to kick off International Women’s Day, with a few of the Women in Transport tribe, at a fabulous breakfast event hosted at Weston Williamson + Partners. She ws treated to an awesome line up of speakers including Victoria Hills, CEO at Old Oak and Park Royal Development Corporation (OPDC), Sharon Young, Principal Project Engineer for the Step Free Access Programme at Transport for London (TfL), Kaye Stout, Partner at PTE Architects and Eugene Healy, Senior Associate at Weston Williamson + Partners. We were delighted to join HS2 for the external launch of its Gender Balance Staff Network hosted at the National College for High Speed Rail in Birmingham on 20 February 2018. 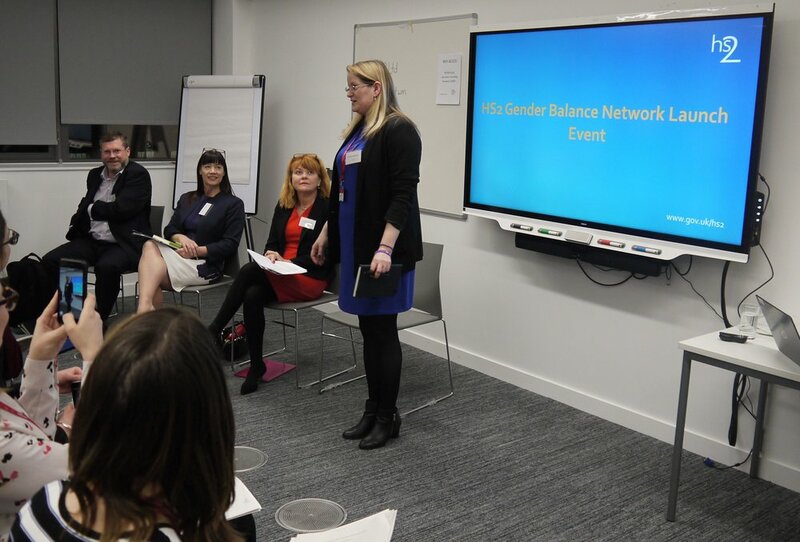 The Gender Balance Staff Network is co-chaired by Marny Moruzzi and Bridget Jackson who, having launched the Network to HS2 staff in both London and Birmingham, decided to reach out to the wider community to share best practice and to build a mutually supportive network of contacts within the communities HS2 serves. Mailys Pineau reports on the Women in Transport Winter Reception where over 100 guests from across the transport industry gathered at KPMG in Canary Wharf to hear a panel discussion on the thought provoking theme of data and decision making. Our panel of experts in the field shared their views on innovative uses of data to help make better business decisions, a challenge faced by many organisations in the transport sector. 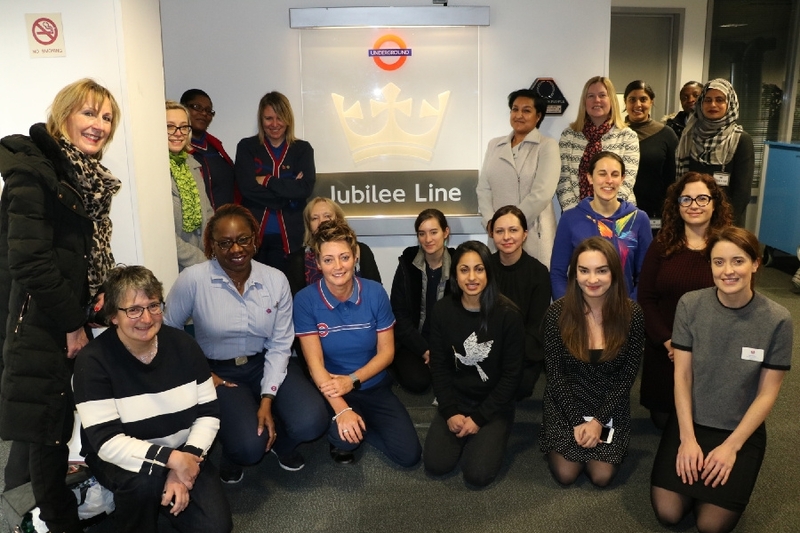 Earlier this month 15 members of Women in Transport headed to TfL's Service Control Centre at Neasden to experience what it’s like to work in trains and service control on the Jubilee line. It was a really fun and interesting afternoon where members got the opportunity to operate a train in the Tube cab simulator, take a real cab journey down the Jubilee line from Wembley Park to Stanmore and tour the service control centre at Neasden. This time last week, we gathered together with our members and supporters at Lewis Silkin in Chancery Lane for our annual mince pies and networking event to celebrate a landmark year for Women in Transport. Having the skills to do a job is crucial, but having the motivation to carry it out over a long period is equally important and often overlooked. We can all perform at a reasonably high level when we’re not particularly motivated for a short while but long term this becomes a problem. Dorota Konieczna reports on Mark Terrell's workshop on Motivational Maps. A skills gap or untapped talent? 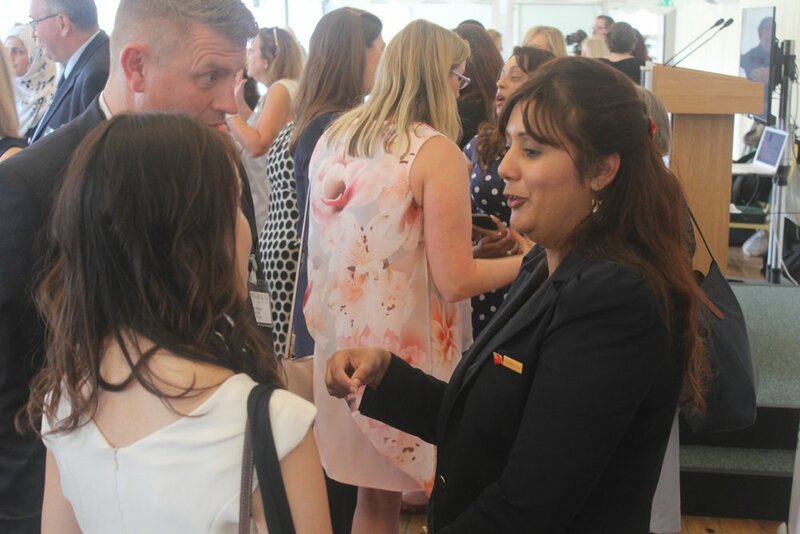 The focus of the Women in Transport Autumn Reception was addressing the gaps in skills needed for the next generation of major infrastructure projects. Sir Terry Morgan, Chairman of Crossrail, led a lively discussion panel comprising Michèle Dix, Managing Director of Crossrail 2, Karima Khandker, Head of Heathrow Employment and Skills Academy and Tricia Nelson, Partner, Transport & Infrastructure at EY. Hosted at Jacobs Engineering Group overlooking the stunning Tower Bridge, Tamsen Garrie shared her method for transforming a team from a work group to a team through her team alignment method in an engaging and practical workshop.